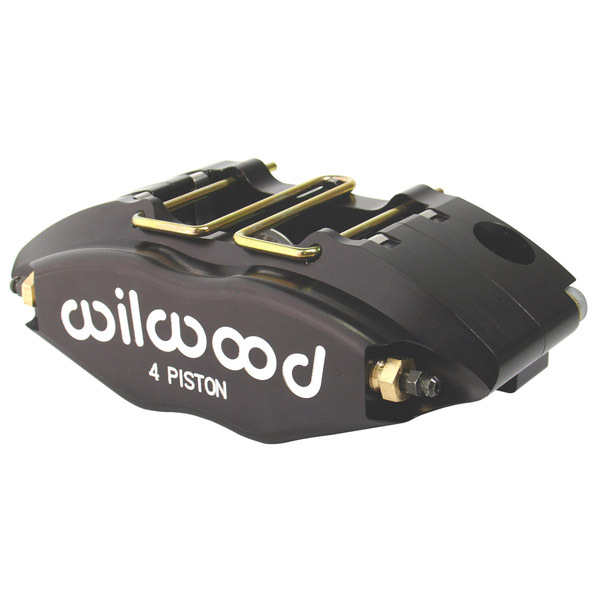 Wilwood's powerlite is a smaller 4-pot caliper specifically designed to suit lightweight and small Formula type racers (maximum vehicle weight 750Kg). 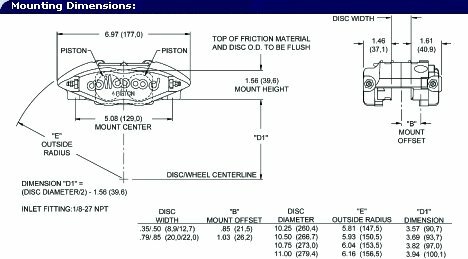 Produced by the drop forging process to ensure a stiff low deflection body but at a lighter weight - approximately 2lbs (1kg). 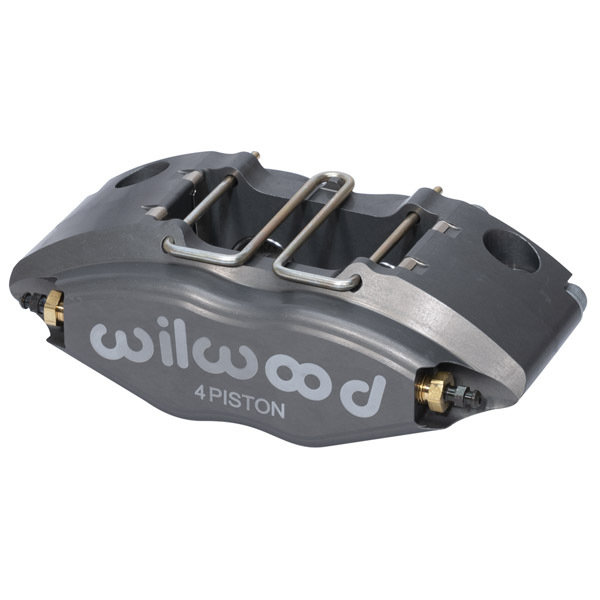 The Powerlite caliper features the Wilwood Squeal Reduction System (SRS) eliminating bridge wear caused by pad gouging and reducing the annoying '4-pot squeal'. Also incorporating the now well proven fast pad change clip (patent under consideration). 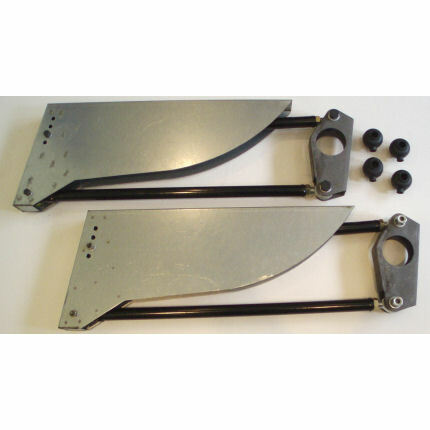 The Powerlite accepts disc diameters from 240mm to 285mm and 2 disc thickness, solid (9-13mm) or vented (20-22mm). 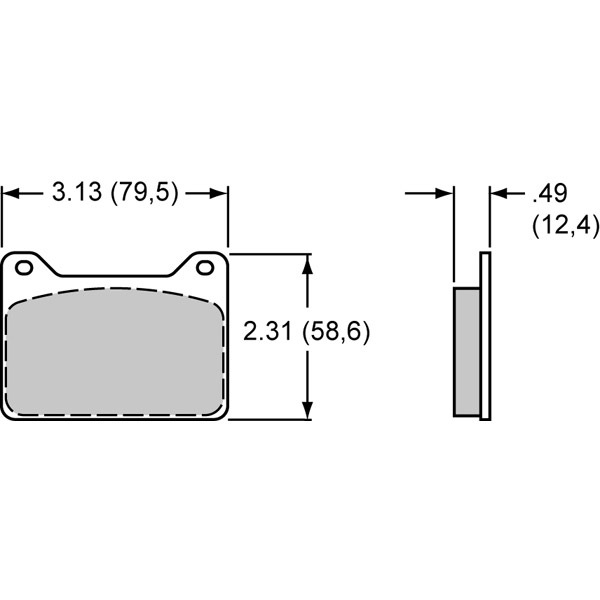 Piston diameters 1.00", 1.25" or 1.38", making this a useful caliper as either a front caliper on small vehicles or a rear caliper on mid range vehicles. 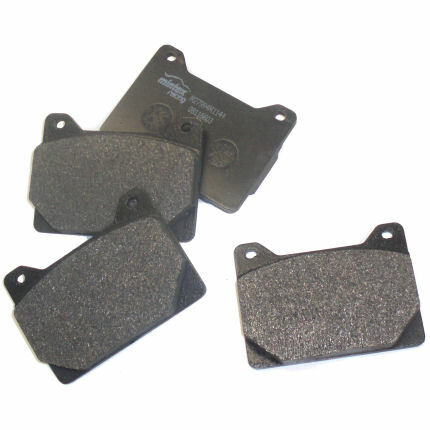 The generous pad area should avoid premature wear or pad overheating problems associated with some O/E 2-piston calipers. Dust seals are not fitted to this caliper, most owners of this type of vehicle usually have a high attention to cleanliness and the additional weight/complexity of dust seals did not seem appropriate - if dust seals are required, then please use the Midilite caliper. 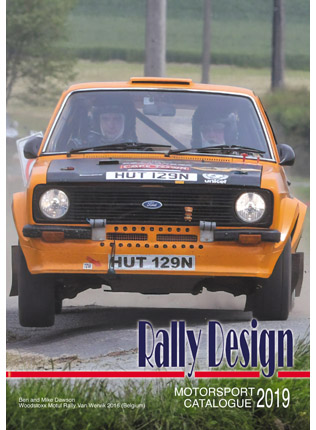 A wide range of pad components are available to suit road, race and off road applications, which will be extended considerably by the early 2005 release date. We believe that this inexpensive caliper which will be stocked in 100's of units by Rally Design will prove a very useful addition to the range. This product was added to our catalogue on Monday 31 January, 2005.